The drug is the dried or fresh whole herb of Nanocnide lobata Wedd. 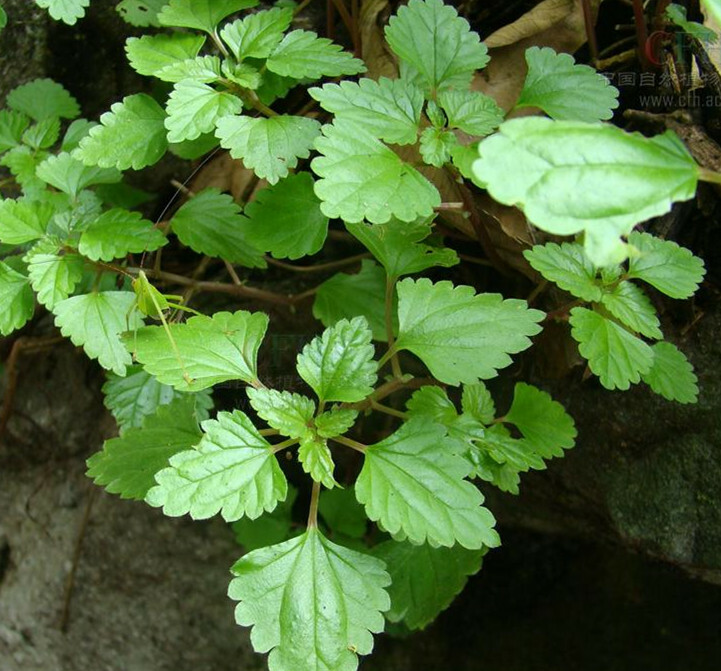 (Family Urticaceae), grow ing in moist and shady places, in scrubs, in swampy lands under bamboo forests or in crevies, in ravines, and distributed in East of China and Shaanxi, Hubei, Hunan, Guangxi, Guizhou and Sichuan of China. Clear heat and remove toxicity, resolve swelling and dissipate nodule, stop bleeding. Scalds and burns, snake bites, traumatic bleeding, traumatic injury, sores and boils, hemoptysis, scrofula, cough caused by lung-heat. Decoct 15~30 g. Proper dosage is for external application, pounded for applying with the fresh, or soaked in seasame oil for applying.